Apple TV offers a “Conference Mode”. It is helpful in business or school situations and gives people in the room some hints how to stream content to the Apple TV (via AirPlay). 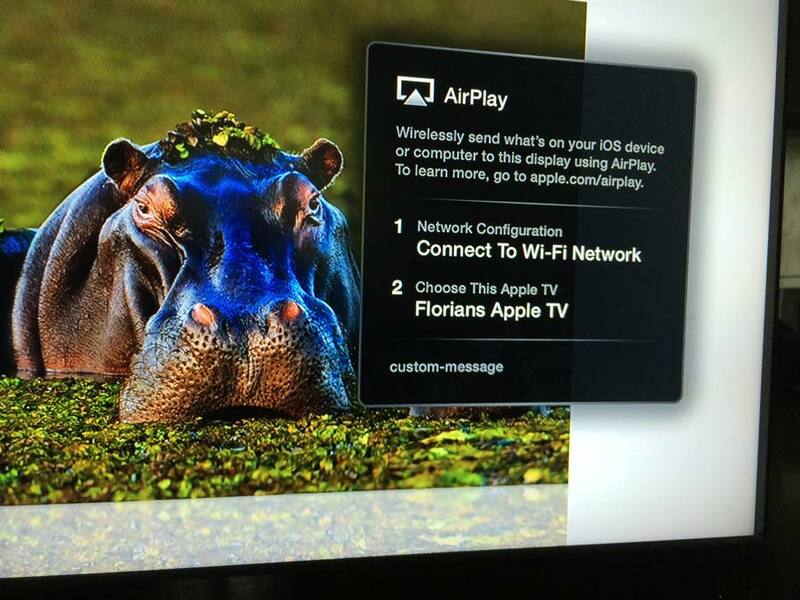 Go to “Settings > AirPlay > Conference Room Display” and turn it on. 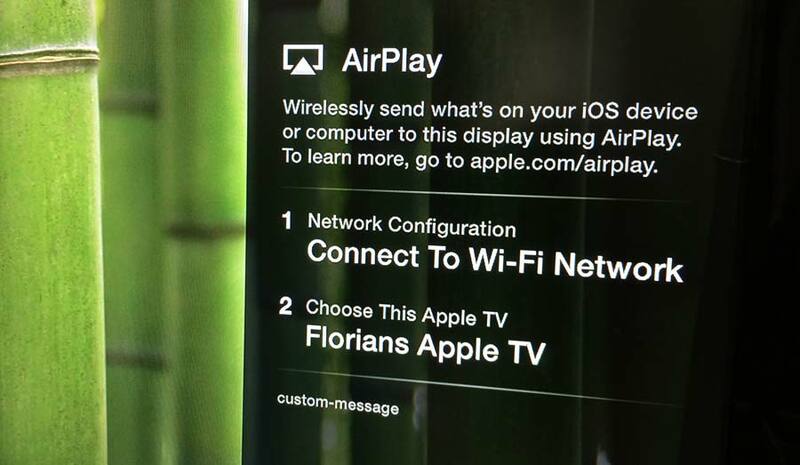 After that, in the screensaver mode, the Apple TV shows some On-Screen Instructions how to connect. If your Apple TV is connected with an ethernet cable, it will just show “Connect to Wi-Fi Network”. Otherwise, using an Wi-Fi Connection, it shows the correct name (SSID) of your Wi-Fi. If you like, you can add some more information in a custom text field (“custom-message” in the screenshot). For example, where to get the Wi-Fi password. It’s also possible to choose a custom background picture. Yes, but how do you make it use the conference room display with the appearance it has when you click preview? I.e. With a background picture, not just the box floating over the screensaver. @Jeremey, you just disable the built in screensaver, but watch out for “burn in” if you do that. Hi, how do I get Apple TV to go directly into conference room mode when it is turned on, rather than going to the home screen first? Thanks, Allan! That was super helpful. I’m stuck in that conference room mode, even after hard restart. No button on the remote works. Hmw to leave that mode and return back to normal mode ? How do we get out of the conference room mode???? Stuck, no matter what I do the apple TV stays on the conference room mode.